Fourth Sunday, C: "They will fight against you but not prevail over you"
In the town of Nazareth, where so many knew the Lord well, saw him grow, visited his home, a sin had taken root; familiarity had bred a prideful sense of entitlement. Those who knew the Lord well, "Is not this Joseph's son?" (Lk 4, 22) assumed that he would grant them the signs and miracles of which they had heard so much in other cities and towns. This pride left them receptive to the Lord and his teaching at a merely superficial level, and their pleasure and approval quickly turned to murderous hatred when he reproved them for their sin, "When they heard this, all in the synagogue were filled with wrath. And they rose up and put him out of the city, and led him to the brow of the hill on which their city was built, that they might throw him down headlong." 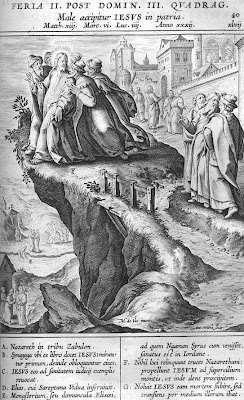 (Lk 4, 28-29) Their pride, a sin against love, had grown into a monstrous hatred. In their hatred for Christ, the Nazarenes committed grave sin. In their overweening pride, hatred became a deliberate attack against Jesus, for they intended to kill him. The Lord majestically frees himself from their grasp, "But passing through the midst of them he went away." (Lk 4, 30) Christ is the peacemaker, and our model as bearers of peace. We must pray for peace and, through active charity, extend the gift of peace and forgiveness to all. Some, in pursuing Christian perfection, may even choose to renounce violent resistance and, instead "make use of those means of defense available to the weakest" (CCC 2306) when confronting their enemies. Christ embraced solidarity with the weakest, for he merely fled from his persecutors, rather than summoning his manly or divine strength in his own defense. “As the LORD lives, the man who has done this merits death! We fight one another, and envy arms us against one another. . . . If everyone strives to unsettle the Body of Christ, where shall we end up? We are engaged in making Christ's Body a corpse. . . . We declare ourselves members of one and the same organism, yet we devour one another like beasts. 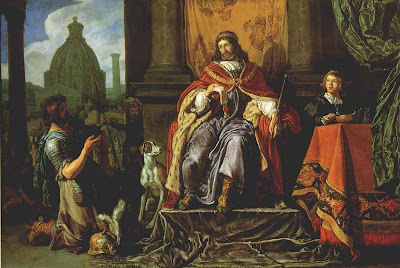 Art: Pieter Lastman, ca. 1583 – 1633, David hands the letter to Uriah. Mauritshuis, The Hague. Friday, 3rd Week, C: “To what shall we compare the Kingdom of God"
... or what parable can we use for it? The kingdom of heaven was inaugurated on earth by Christ. "This kingdom shone out before men in the word, in the works and in the presence of Christ" (LG 5). The Church is the seed and beginning of this kingdom. Its keys are entrusted to Peter. Wednesday, 3rd Week, C: "The sower sows the word." ... those sown on rich soil are the ones who hear the word and accept it and bear fruit thirty and sixty and a hundredfold. The word of the Lord is compared to a seed which is sown in a field; those who hear it with faith and are numbered among the little flock of Christ have truly received the kingdom. Then, by its own power, the seed sprouts and grows until the harvest. Nehemiah reads out the law and the people fall down in worship before these "ten words" of the Divine Lawgiver. The Lord proclaims the words of Isaiah and reveals that they point to Him, the Word Incarnate. Do we rejoice that the day of the Lord has arrived? How do we worship the One who is now truly present among us? because the Lord has anointed me to bring good tidings to the afflicted; he has sent me to bind up the broken hearted, to proclaim liberty to the captives, and the opening of the prison to those who are bound; to proclaim the year of the Lord's favor. The anointing by which Christ brings "good tidings", binds up the "brokenhearted", and frees those imprisoned is carried out in our midst, at this moment, only in the Holy Spirit, poured out upon us by the Lord-Messiah according to the heavenly Father's loving plan for our redemption. Only in that Spirit of love can we call out to Christ as Lord in faith. Only in that Spirit do we receive and give authentic love. We live out our love for the Lord when we confidently declare that he is Lord and God to all we meet. Others will know we love them if we declare the divinity of the Savior, he who alone can forgive our sins, heal us and raise us up to holiness and joy. 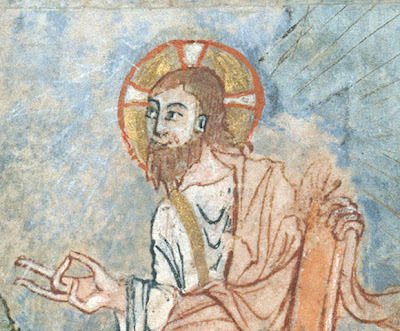 Art: Illuminated Gospel, Unknown, Anglo-Saxon, possibly Canterbury, about 1000. Saturday, 2d Wk: "Jesus came with his disciples into the house"
Friday, 2d Wk: "He appointed Twelve"
Wednesday, 2d Wk: “Is it lawful to do good on the sabbath?" He stretched it out and his hand was restored. The Gospel reports many incidents when Jesus was accused of violating the sabbath law. But Jesus never fails to respect the holiness of this day. He gives this law its authentic and authoritative interpretation: "The sabbath was made for man, not man for the sabbath." With compassion, Christ declares the sabbath for doing good rather than harm, for saving life rather than killing. The sabbath is the day of the Lord of mercies and a day to honor God. "The Son of Man is lord even of the sabbath." Tuesday, 2d Wk: “The sabbath was made for man"
not man for the sabbath. That is why the Son of Man is lord even of the sabbath. Those Christians who have leisure should be mindful of their brethren who have the same needs and the same rights, yet cannot rest from work because of poverty and misery. Sunday is traditionally consecrated by Christian piety to good works and humble service of the sick, the infirm, and the elderly. Christians will also sanctify Sunday by devoting time and care to their families and relatives, often difficult to do on other days of the week. Sunday is a time for reflection, silence, cultivation of the mind, and meditation which furthers the growth of the Christian interior life. 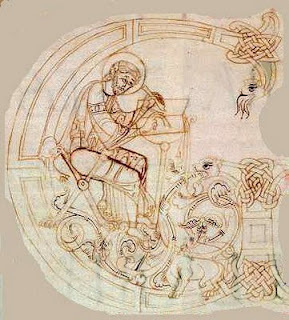 Monday, 2d Wk: “Can the wedding guests fast while the bridegroom is with them?" But the days will come when the bridegroom is taken away from them, and then they will fast on that day. To prepare for worthy reception of this sacrament (the Eucharist), the faithful should observe the fast required in their Church. Bodily demeanor (gestures, clothing) ought to convey the respect, solemnity, and joy of this moment when Christ becomes our guest. In our own time, in a world often alien and even hostile to faith, believing families are of primary importance as centers of living, radiant faith. 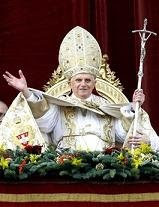 For this reason the Second Vatican Council, using an ancient expression, calls the family the Ecclesia domestica. It is in the bosom of the family that parents are "by word and example . . . the first heralds of the faith with regard to their children. They should encourage them in the vocation which is proper to each child, fostering with special care any religious vocation." Friday, 1st Wk: "He preached the word to them"
Thursday, 1st Wk: "go, show yourself to the priest"
Wednesday, 1st Wk: "The LORD called to Samuel"
And the holy Cure of Ars: "The priest continues the work of redemption on earth. . . . If we really understood the priest on earth, we would die not of fright but of love. . . . The Priesthood is the love of the heart of Jesus." "Everything that happened to Christ lets us know that, after the bath of water, the Holy Spirit swoops down upon us from high heaven and that, adopted by the Father's voice, we become sons of God." Tuesday, 1st Week: “What have you to do with us"
Faced with God's fascinating and mysterious presence, man discovers his own insignificance. Before the burning bush, Moses takes off his sandals and veils his face in the presence of God's holiness. Before the glory of the thrice-holy God, Isaiah cries out: "Woe is me! I am lost; for I am a man of unclean lips." 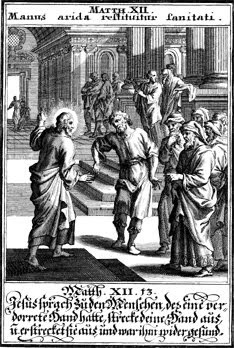 Before the divine signs wrought by Jesus, Peter exclaims: "Depart from me, for I am a sinful man, O Lord." But because God is holy, he can forgive the man who realizes that he is a sinner before him: "I will not execute my fierce anger. . . for I am God and not man, the Holy One in your midst." The apostle John says likewise: "We shall. . . reassure our hearts before him whenever our hearts condemn us; for God is greater than our hearts, and he knows everything." Monday, 1st Wk: “Come after me"
... and I will make you fishers of men. Epiphany-tide: "We know that we belong to God"
The whole of man's history has been the story of dour combat with the powers of evil, stretching, so our Lord tells us, from the very dawn of history until the last day. Finding himself in the midst of the battlefield man has to struggle to do what is right, and it is at great cost to himself, and aided by God's grace, that he succeeds in achieving his own inner integrity. "Our Father": Since the Lord's Prayer is that of his people in the "end-time," this "our" also expresses the certitude of our hope in God's ultimate promise: in the new Jerusalem he will say to the victor, "I will be his God and he shall be my son." If we turn away from evil out of fear of punishment, we are in the position of slaves. If we pursue the enticement of wages, . . . we resemble mercenaries. Finally if we obey for the sake of the good itself and out of love for him who commands . . . we are in the position of children.